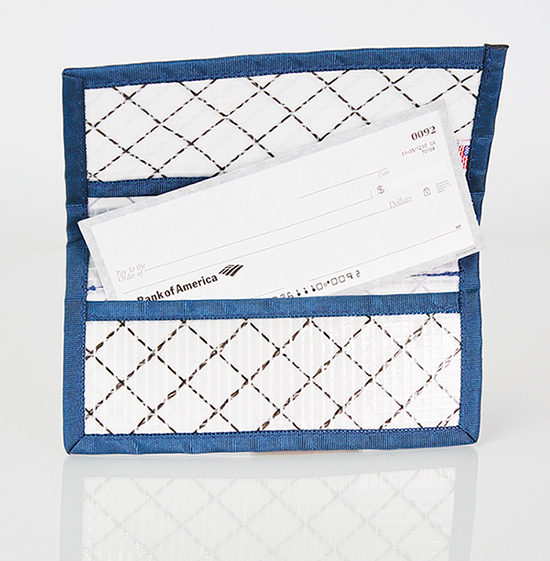 Even though checks have become a bit passé they can still be necessary from time to time. 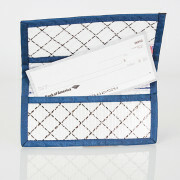 If you are among the few, the proud, who still carry a checkbook then why not have one with modern appeal. 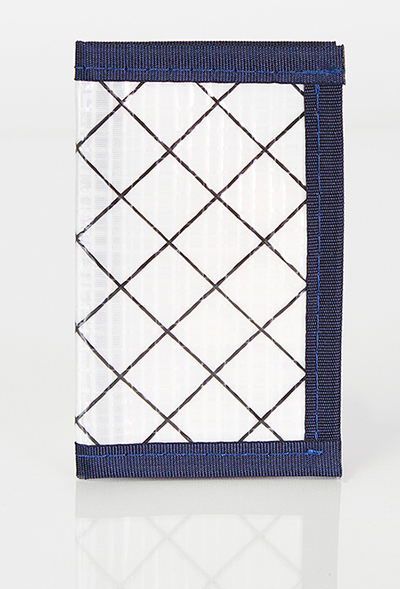 Our Kevlar checkbook cover has an opening on either side and will accommodate a standard size checkbook and register and will accommodate unfolded cash. 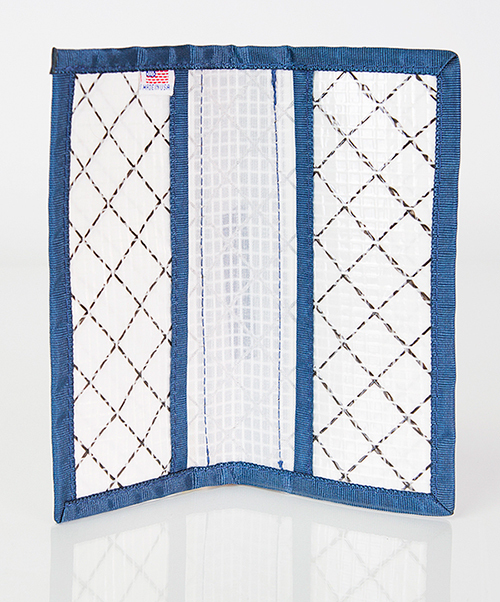 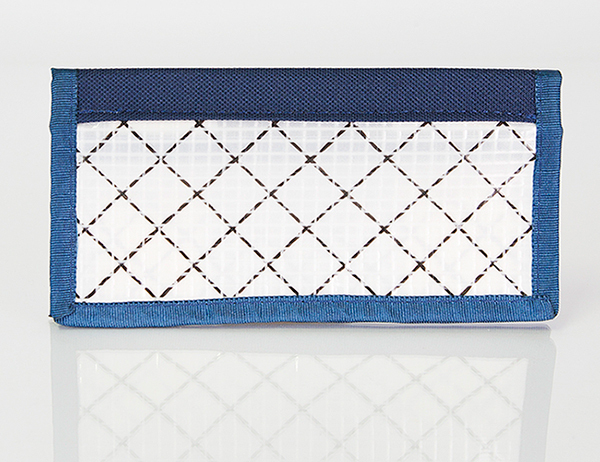 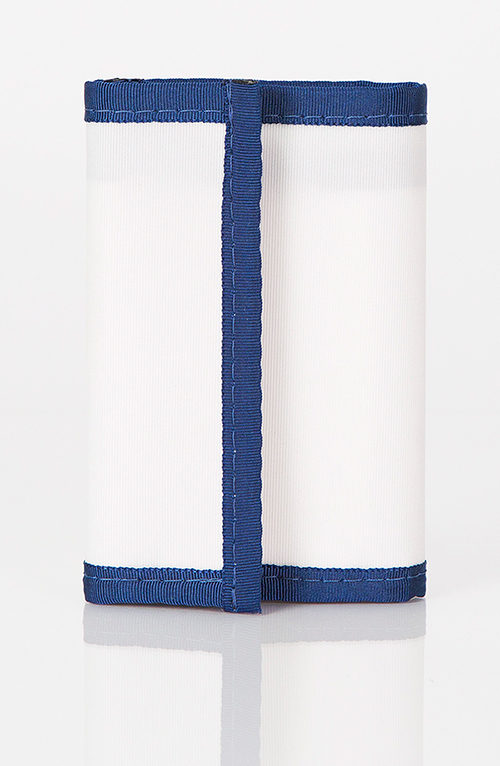 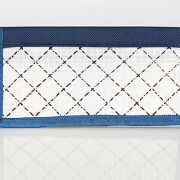 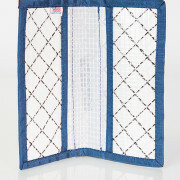 It’s a terrific companion to our Kevlar sailcloth wallets.